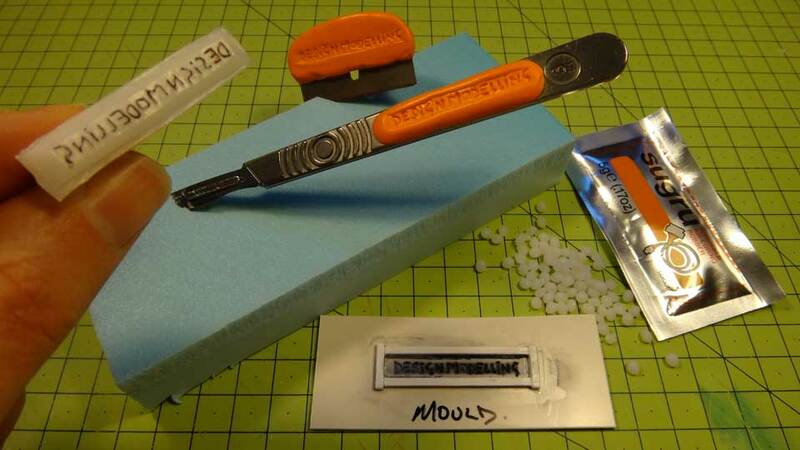 Branding – on my scalpels for the next Design Modelling workshop in London on 26th Jan. Put something down and it’ll be gone… so I thought this was a fun way to identify my scalpel in the inevitable blizzard of cardboard and tools that covers any busy desk. Bright orange should be easily seen too. The Stamp/Brand was made from Polymorph - pressed into the mould. 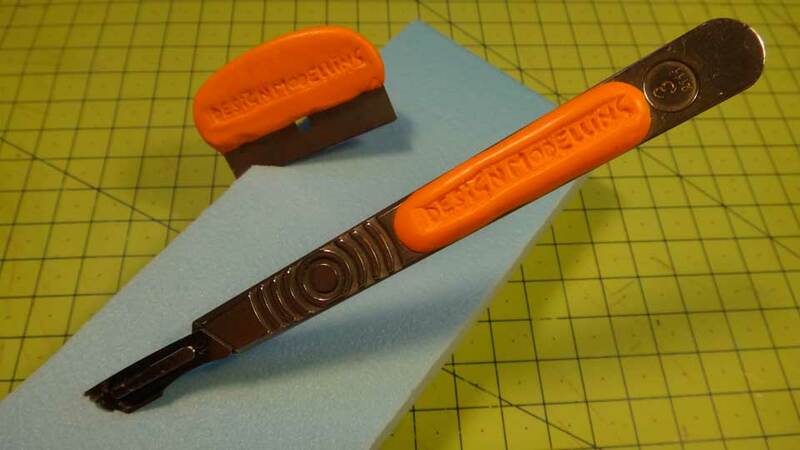 Needle Files – are very useful in the workshop, but if like me you buy cheap ones, the files are fine, but the handle is small and falls off in hours of use. 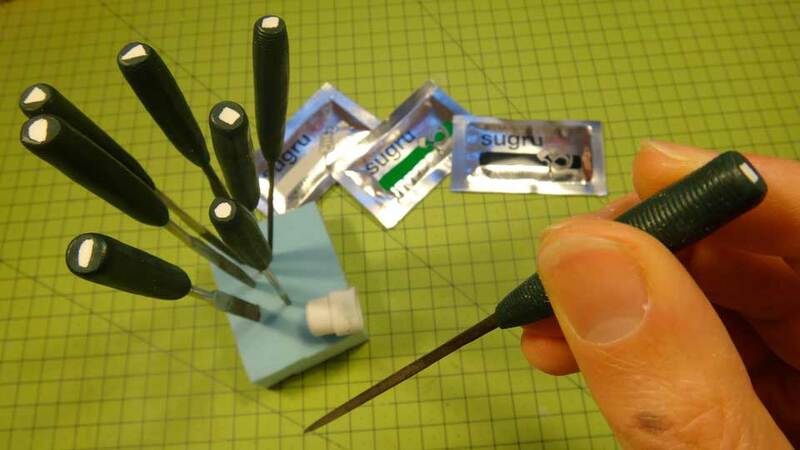 So Sugru makes a great soft handle – you can also ‘roll’/press a ridged-lid of something into it to give it a grip. (Poor-man’s knurling!) But it didn’t stop there – I also found it annoying that you can’t easily see which file is which – so I cut into the end the shape of the file and then filled it with a contrasting colour of Sugru. Finally when dry, slicing the surface clean. Rather nice, even if I say so myself. Tip – Wet Sugru bonds to dry Sugru, so useful for creating ‘icons’ like this. It can also be mixed. This was a ratio of 1 Black : 2 Green. 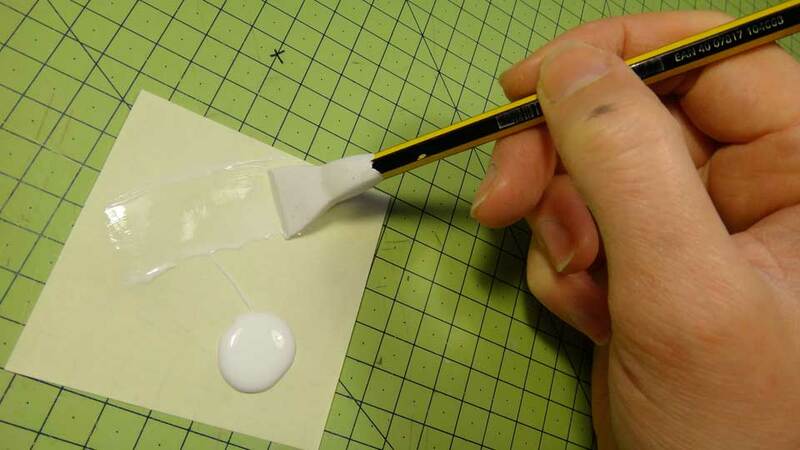 Silicone Paintbrushes – these do actually exist, but I like he fact that I could tailor my own ‘tips’ of the ‘brush’ to suit the job I was doing. 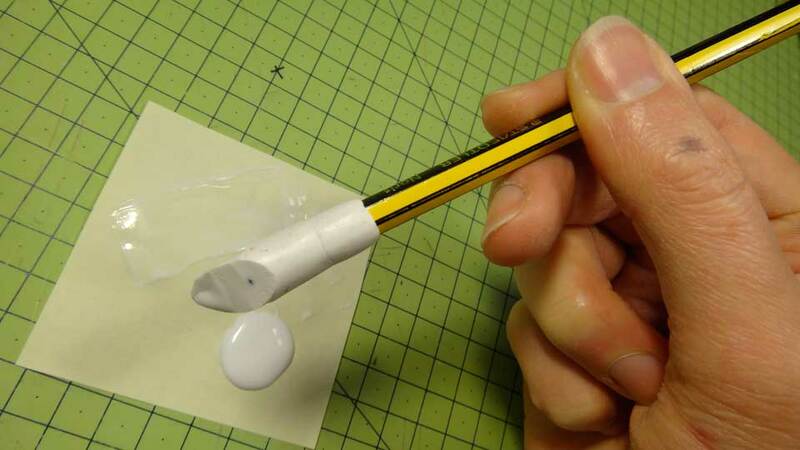 In case you have not used these – they hold paint and glue. Especially handy is that the substance flakes off once it’s dry – no need for washing! Of course, you’ll be wondering where you can get this wonderful stuff – it’s available online e.g. Sugru Multi-Colour (Pack of 8) , but also take some time to check out the founder’s remarkable story!